If you are looking to experience all the beauty that Hawaii has to offer then look no further then the Makena Surf condos. Just beyond the fairways of championship golf courses, Makena and Wailea, this resort offers spectacular ocean views and quiet peaceful living. Wake up and relax on your private lanai and listen to the Kolea birds sing. The property is incredibly detailed with native tropical vegetation and features two swimming pools, four tennis courts and a barbeque terrace. With all of the gorgeous foliage, Makena Surf is a great place to bird watch. The Nene Bird is one seen most often along with the Egret. The Makena Surf Condos offer luxurious accommodations that are ideal for family or individuals who wish to make their living dreams a reality. Spacious private lanai’s offer unobstructed views of the dazzling pacific ocean and neighboring islands. You'll find that there is plenty for you to do as you explore the area surrounding Makena Surf. Take a sightseeing tour by bus or stroll through the rainforest. If you really enjoy nature, you might want to visit Haleakala National Park or explore the Kula Botanical Gardens. Of course, there's always Keiki Zoo Maui, which is sure to delight little ones. Adults who appreciate art might want to check out the Maui Crafts Guild. There are many restaurants and shops nearby as well as the many outdoor activities to be had both out in the surf and on the sand. Snorkeling is a very popular activity that takes place all over the island, it's a great way to take in the marine life up close and personal. It's a very colorful world down below and you can swim with turtles and the Kikakapu fish. 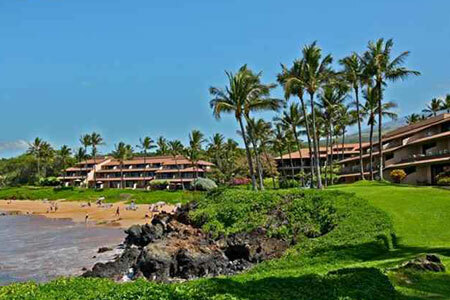 The Makena Surf Condos are Located between Kea Lani Hotel and the Maui Prince Hotel at 96 Makena Alanui Rd. Wailea-Makena, Maui Hawaii, 96753.